Find great activities for weekend warriors in this list of extreme sports in NY! Whether it's sky diving, white water rafting or bouldering, this list of adventure sports in NY is sure to have something for you. Find local places to go rock climbing NY. 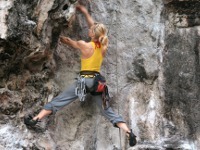 If you enjoy climbing or bouldering, check out all these cool places to go outdoor rock climbing in NY. Take advantage of the best skydiving NY has to offer in parts of Upstate NY and other areas of the state. 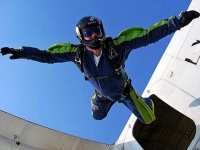 Fun New York is your definitive guide to skydiving in New York, providing you with detailed information and reviews about each venue. 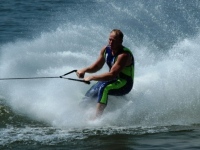 Find water skiing in New York in the Adirondacks and other great locations throughout the state. If water sports is your number one hobby, check out our list of places to water ski in NY. 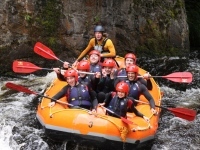 Take advantage of the finest whitewater rafting New York has to offer at a variety of cool places in Upstate NY and other parts of the state. Let us be your definitive guide to white water rafting NY.